“Don’t wiggle so much or I’ll drop you,” Trunks warned Gohan. 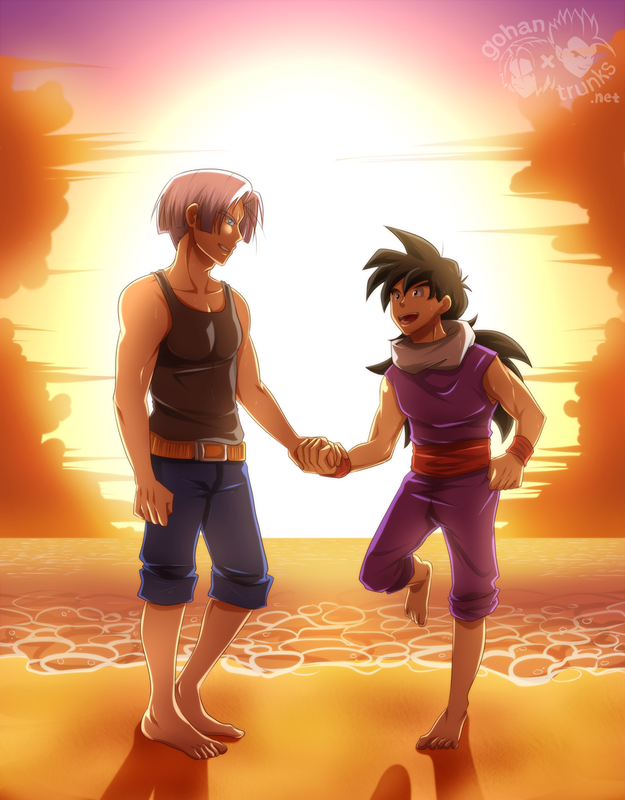 Gohan squirmed even more on purpose and, laughing, the two of them tumbled down into the sand. Trunks heard the shutter click and wondered what kind of photo the camera had taken.